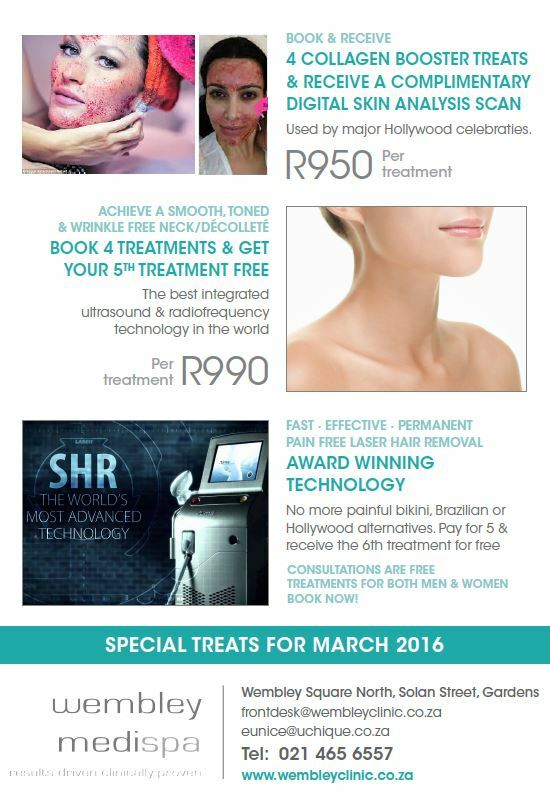 Spoil yourself and your loved ones this March at The Wembley MediSpa. Get a radiant looking skin with our Collagen Induction Therapy. This is a great way to remove those acne scars, treat skin imperfections, remove stretch marks and give your skin that healthy glow. Why not visit The Wembley MediSpa and let us help you achieve that beautiful skin you always wanted? This month you can get all that and more at The Wembley MediSpa. Whether its a smooth ,toned and wrinkle free skin or a beautiful hair free body The Wembley MediSpa is the place to be, have a look at our Amazing Treats!